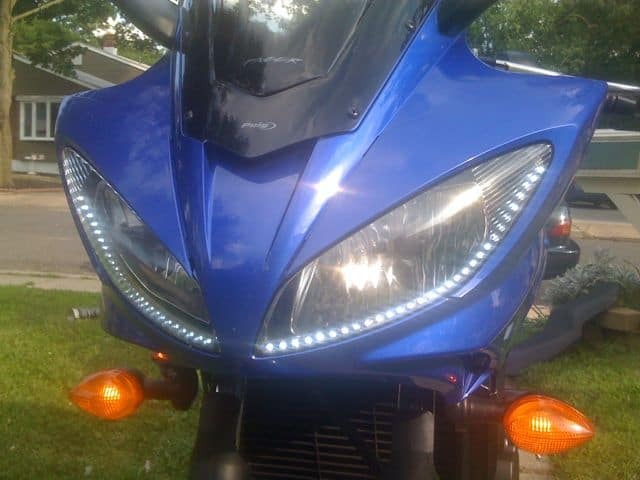 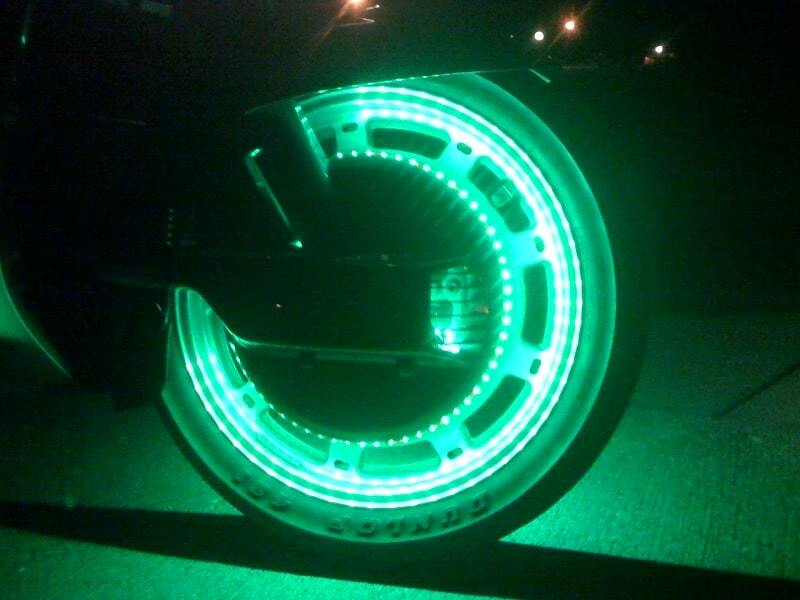 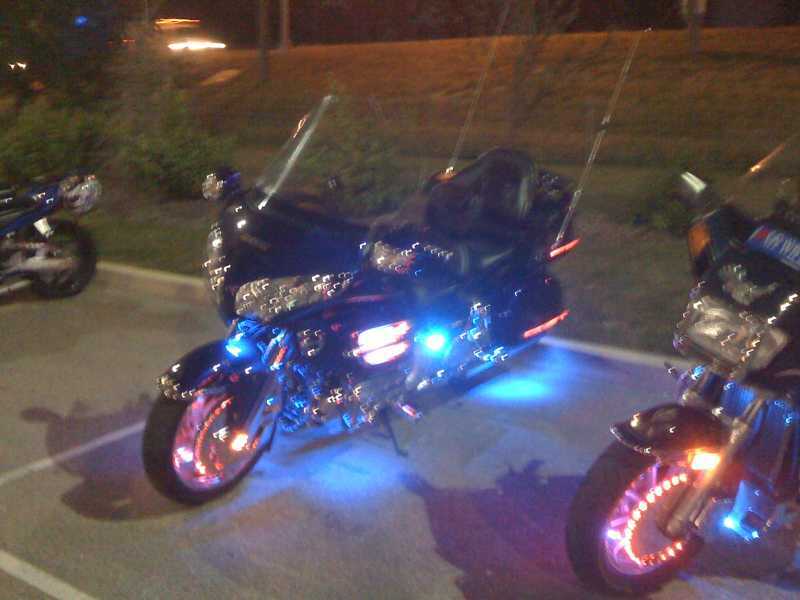 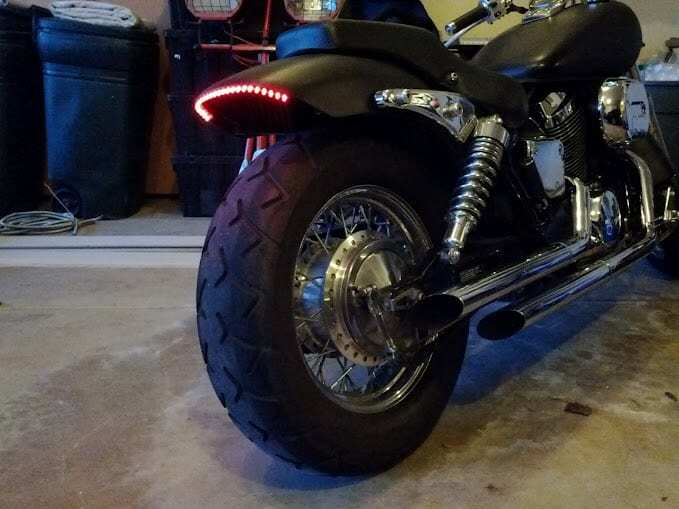 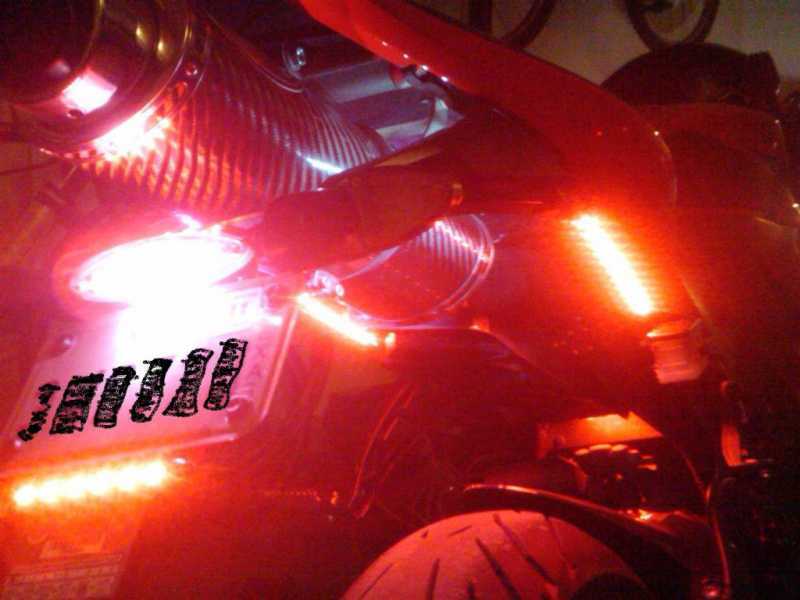 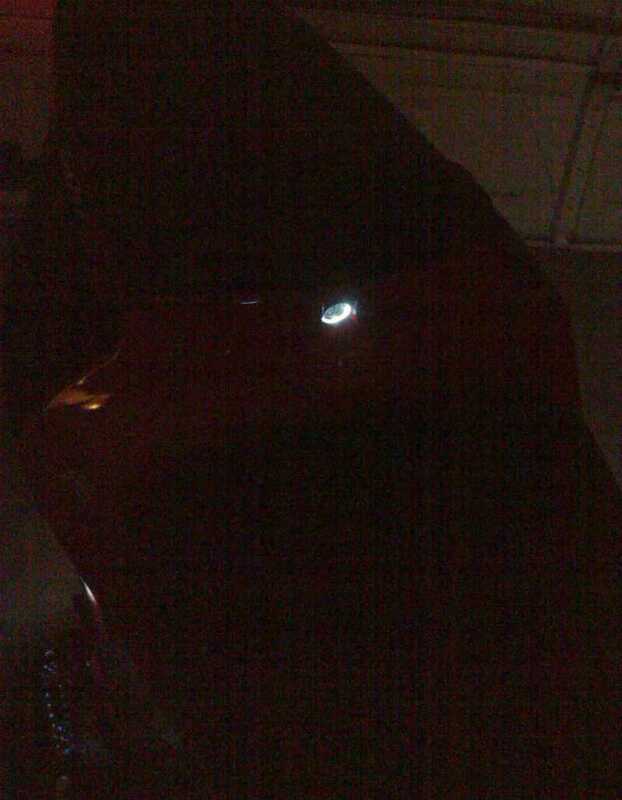 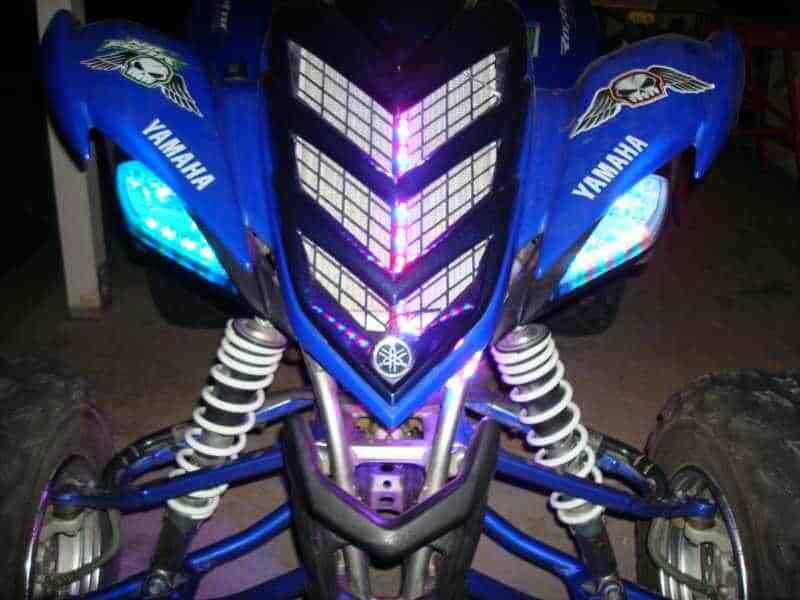 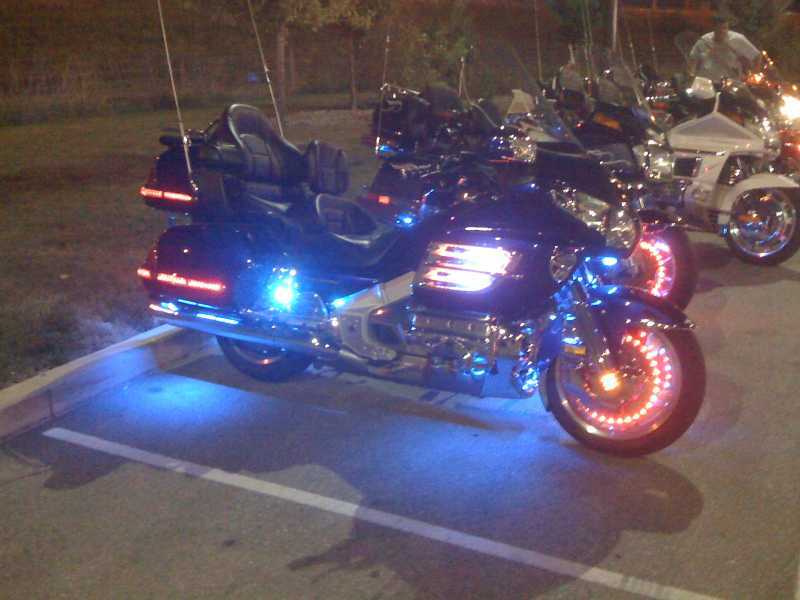 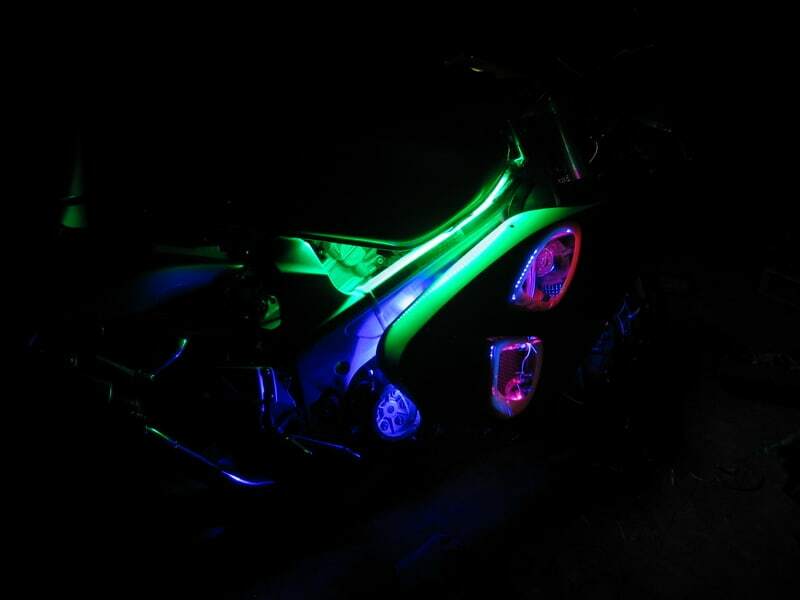 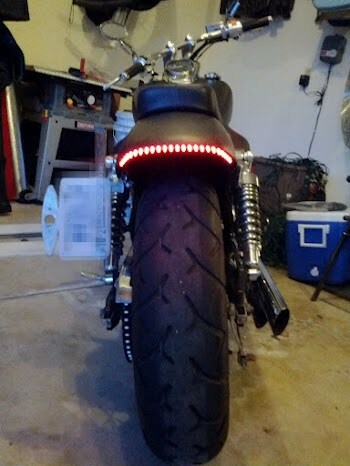 Motorcycle LED Strips - Super Bright, Durable, Waterproof and ultra efficient! 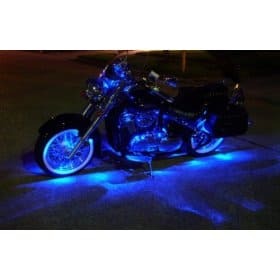 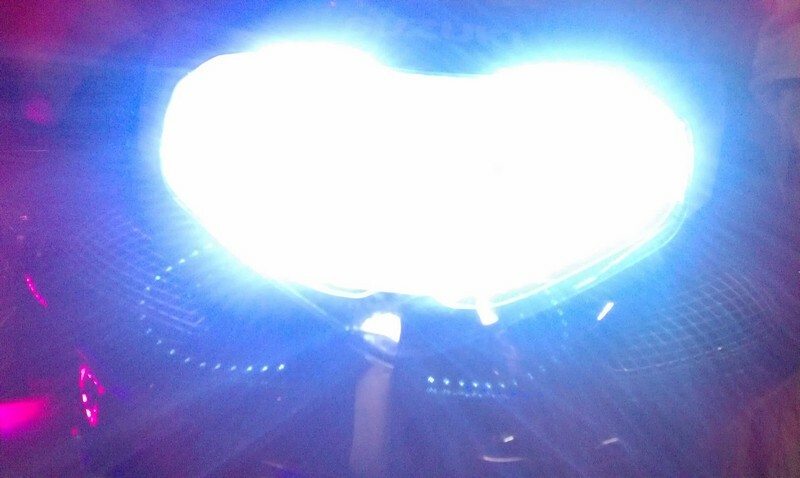 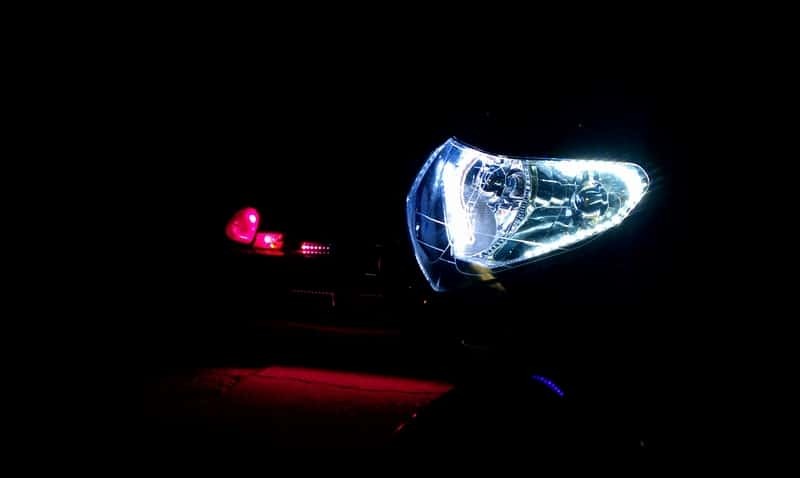 Looking for the brilliant glow of Motorcycle LED lights without the hassle of installing LEDs individually with a soldering iron, or outdated and overpriced "motorcycle kits" ? 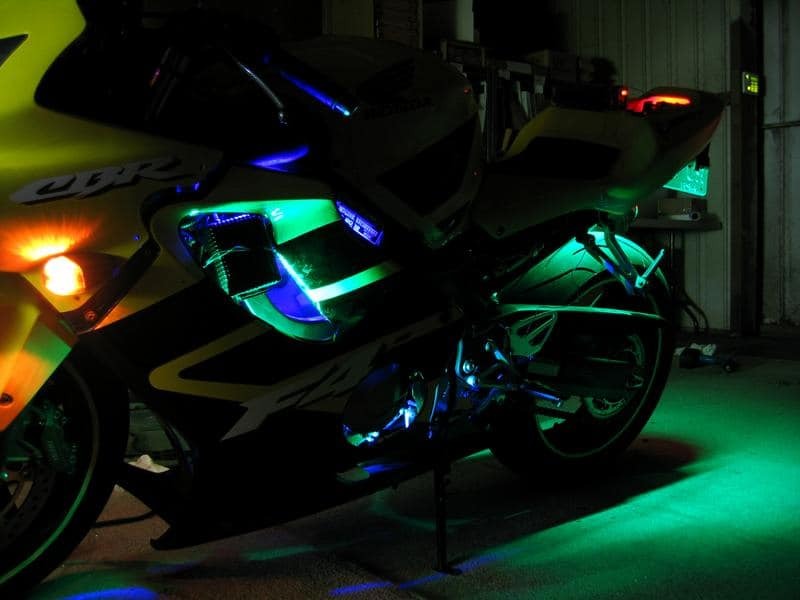 Our ultra flexible Motorcycle LED Strips hook up to your bike in one easy step, bringing you all the convenience of our LED strips in a weatherproof, affordable, high tech package. 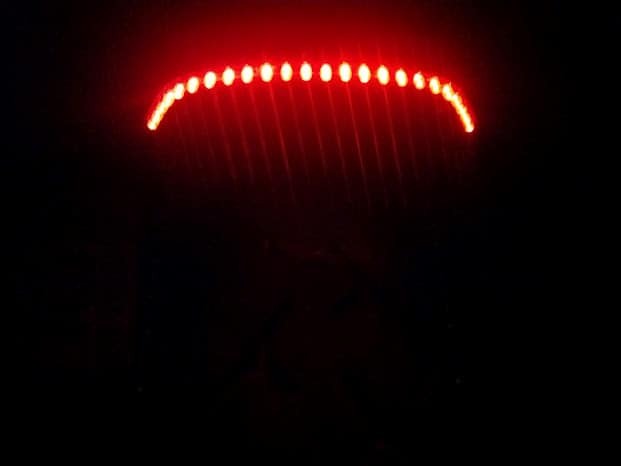 The strip has all resistors embedded in the strip (no bulky adapters or transformers) and the lights are 100% plug-and-play with any 12V source. 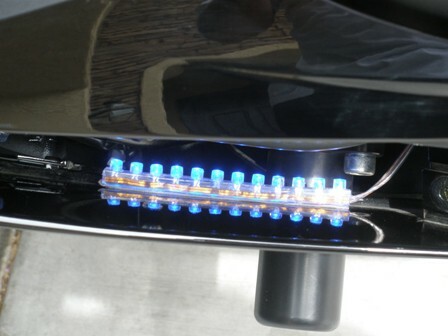 Very bright and very cool (literally, no heat output! 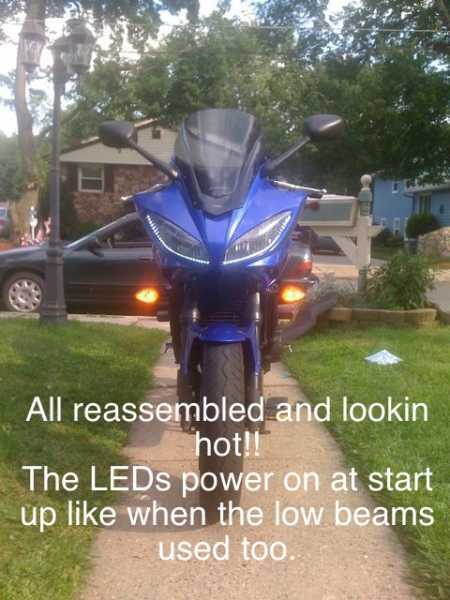 ), these strips, which sell for as little as $3.99 each, give you total lighting flexibility on your motorcycle or bike, while the small power footprint will little to no drain on your battery due to the super efficiency. 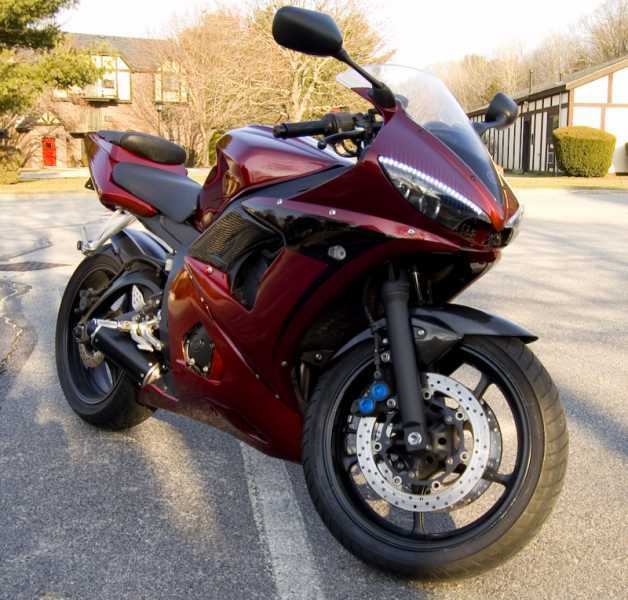 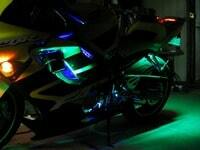 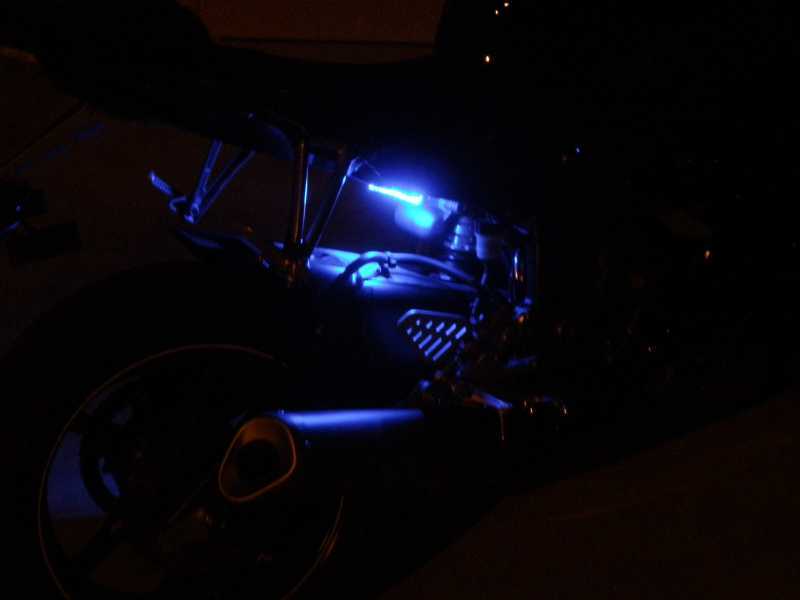 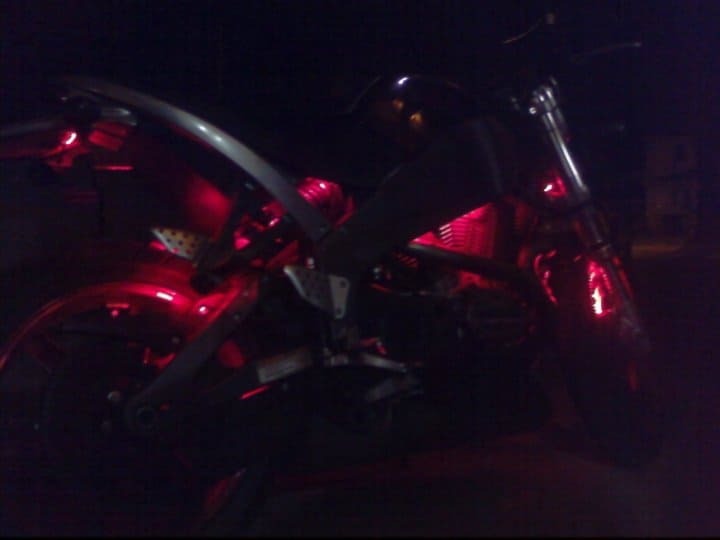 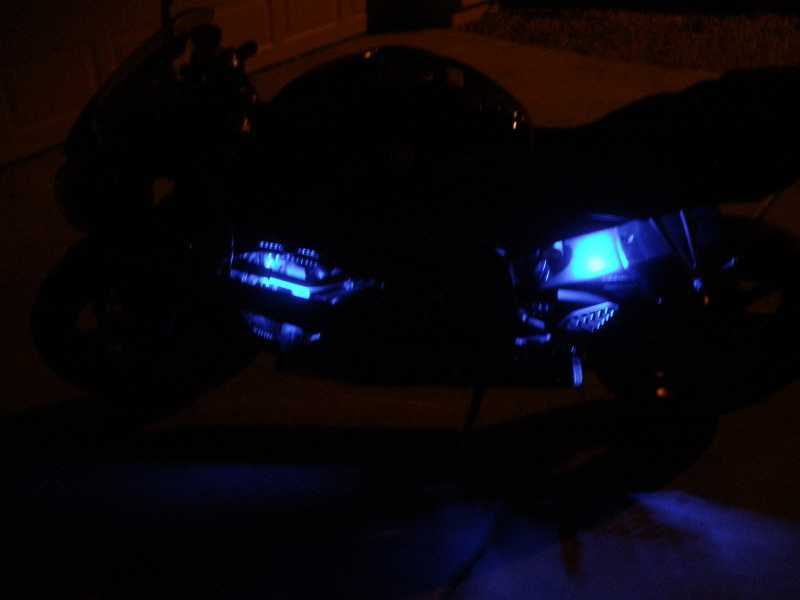 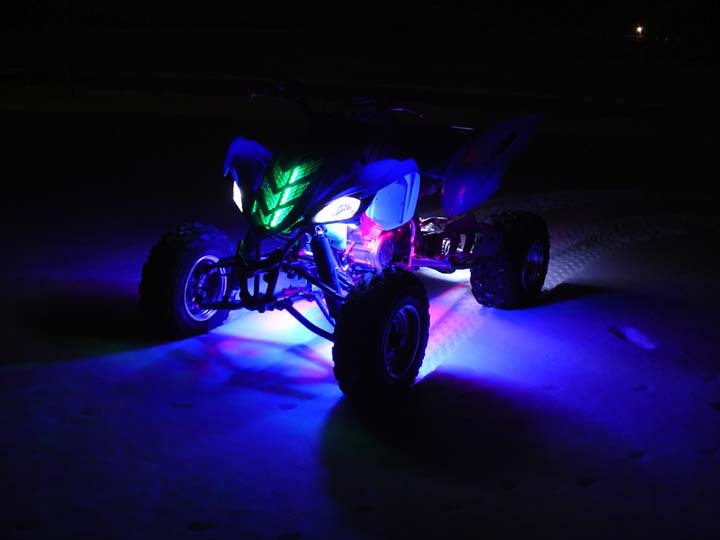 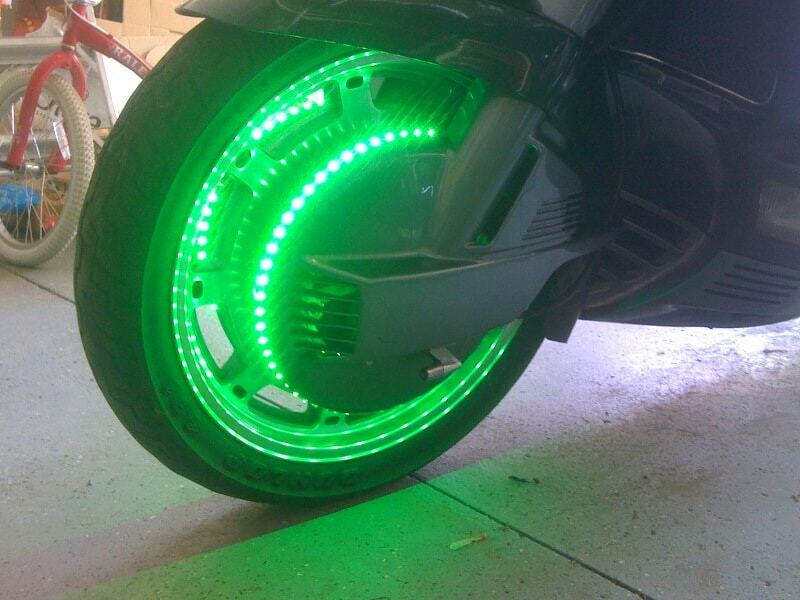 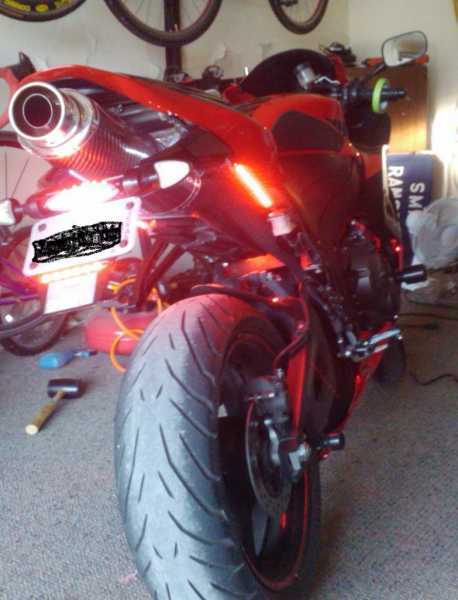 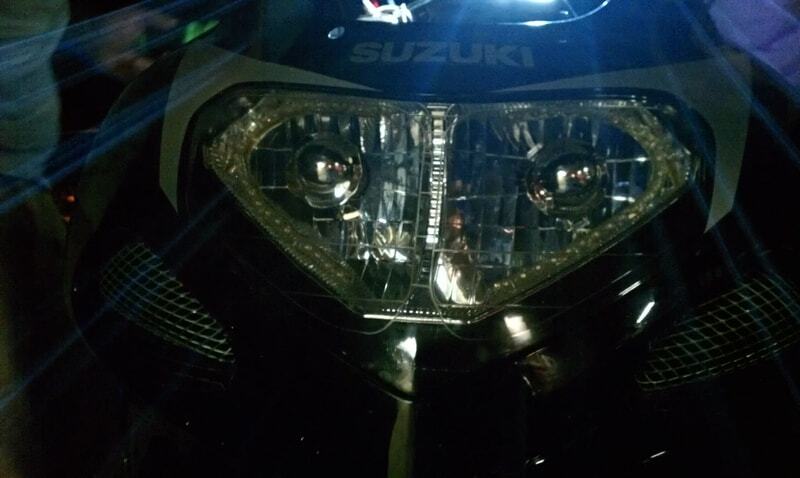 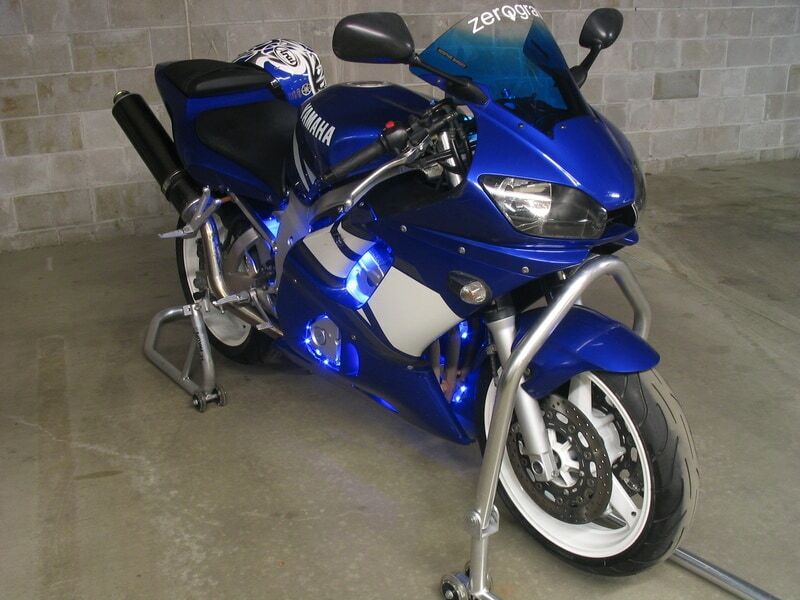 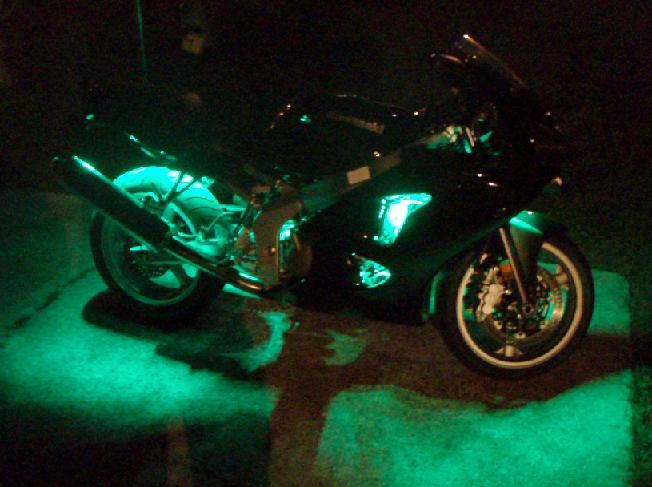 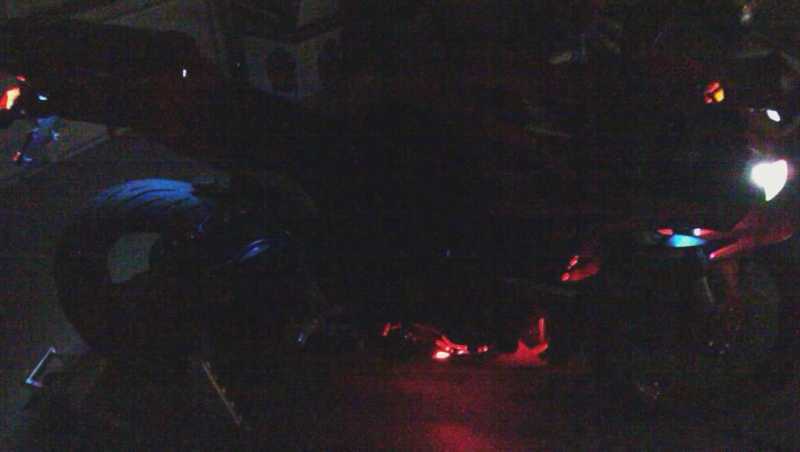 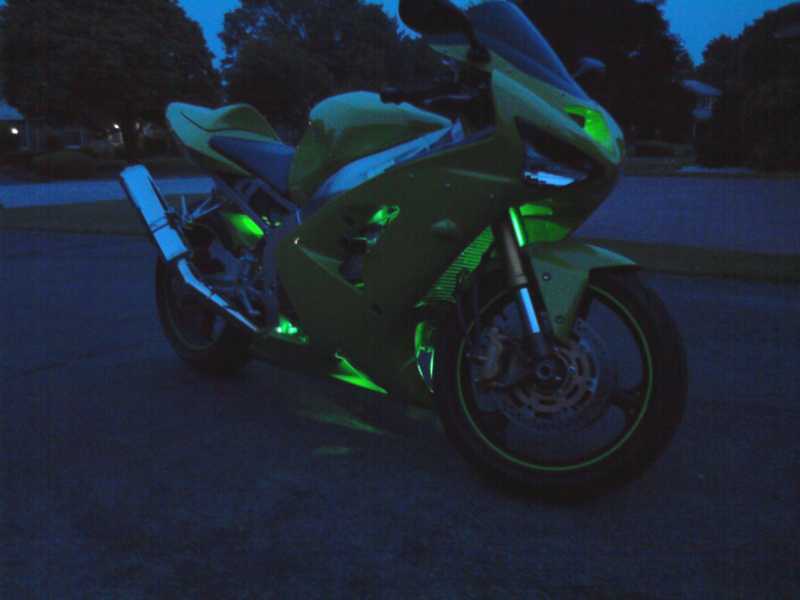 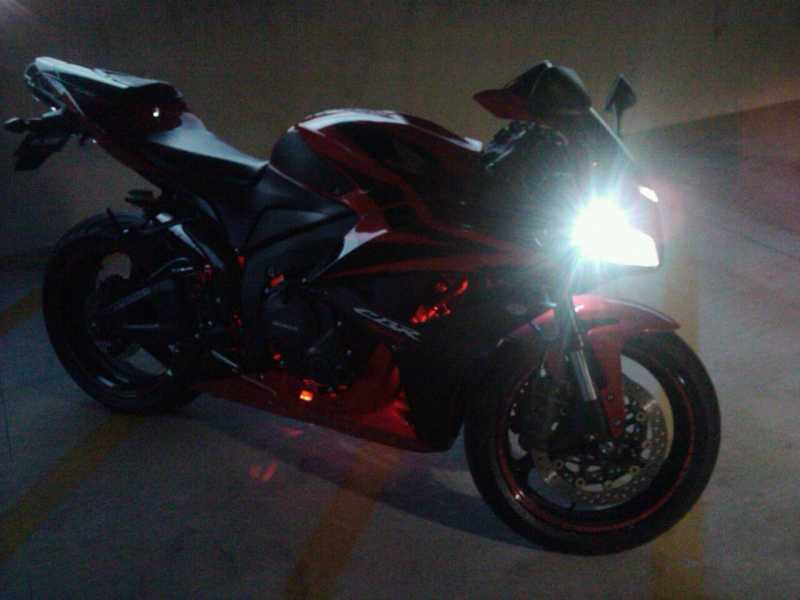 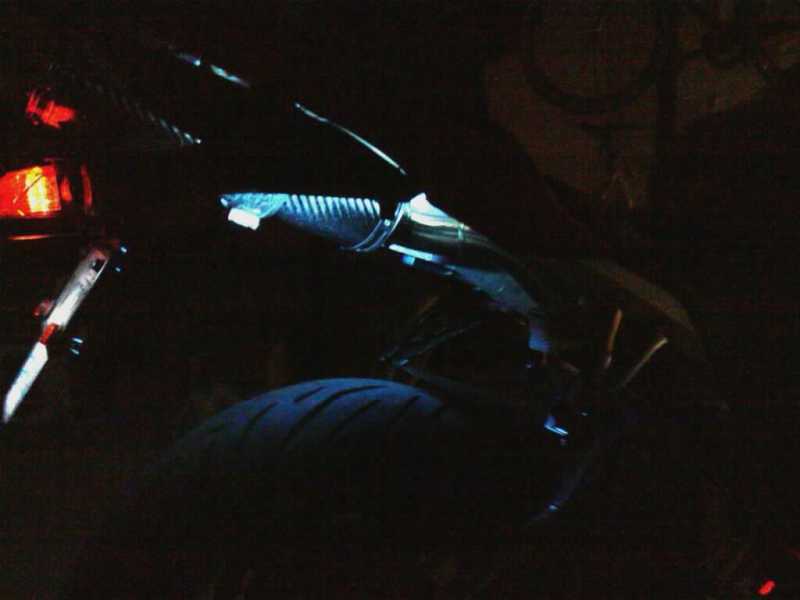 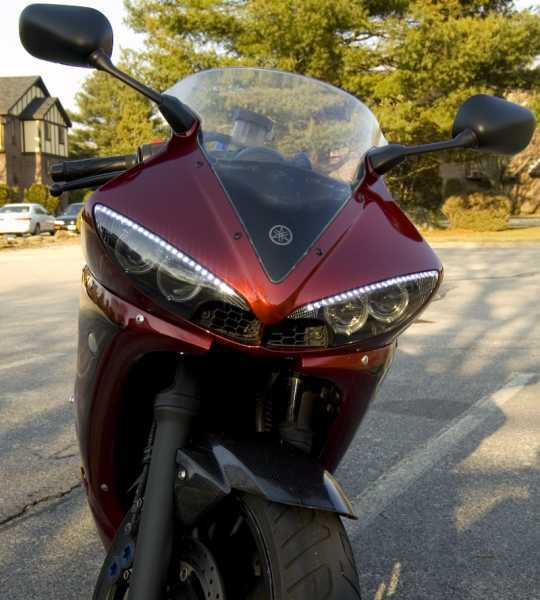 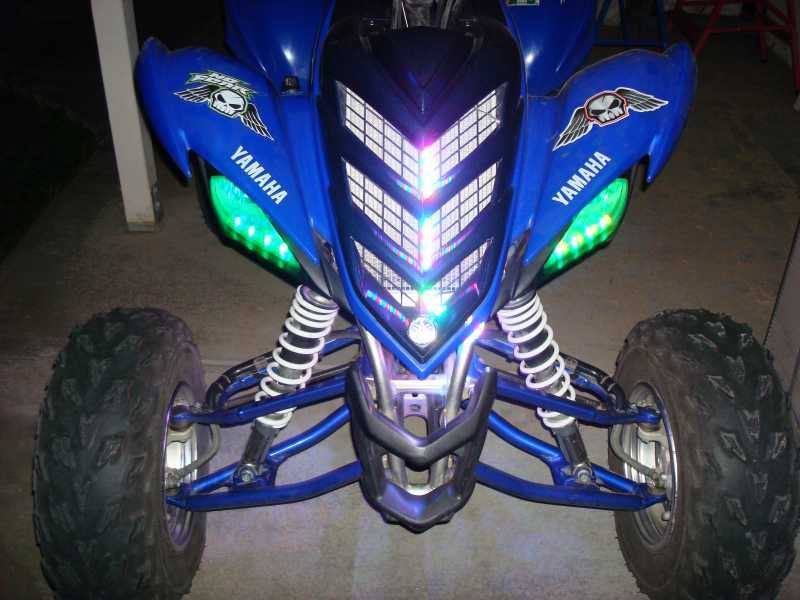 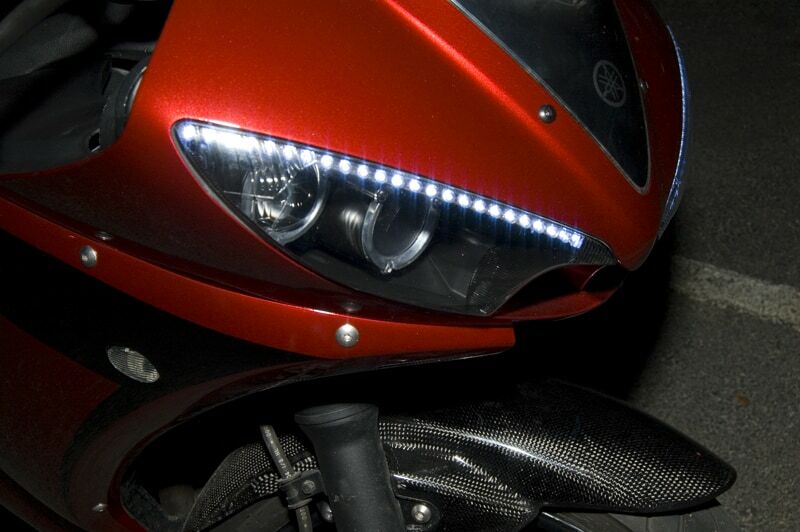 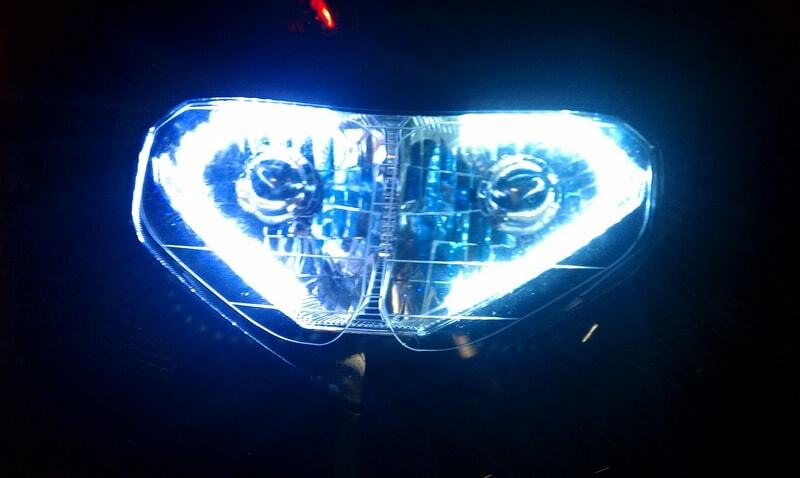 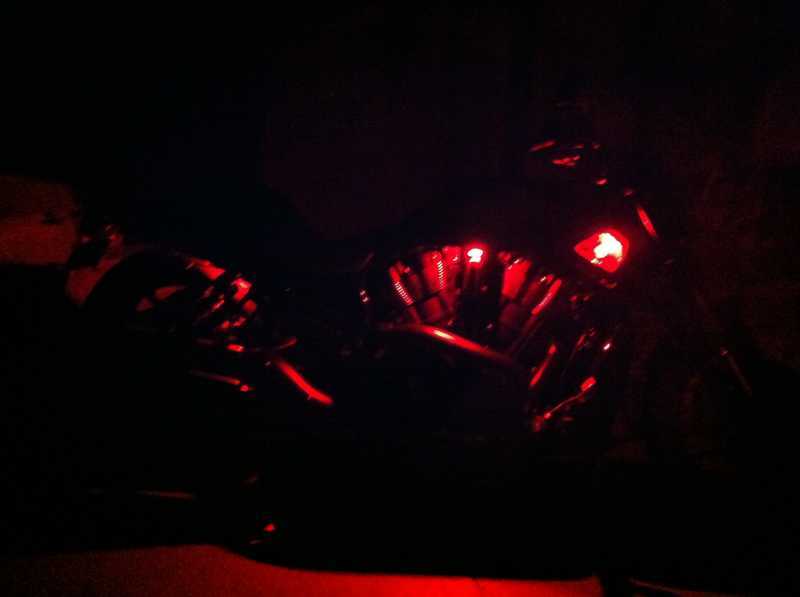 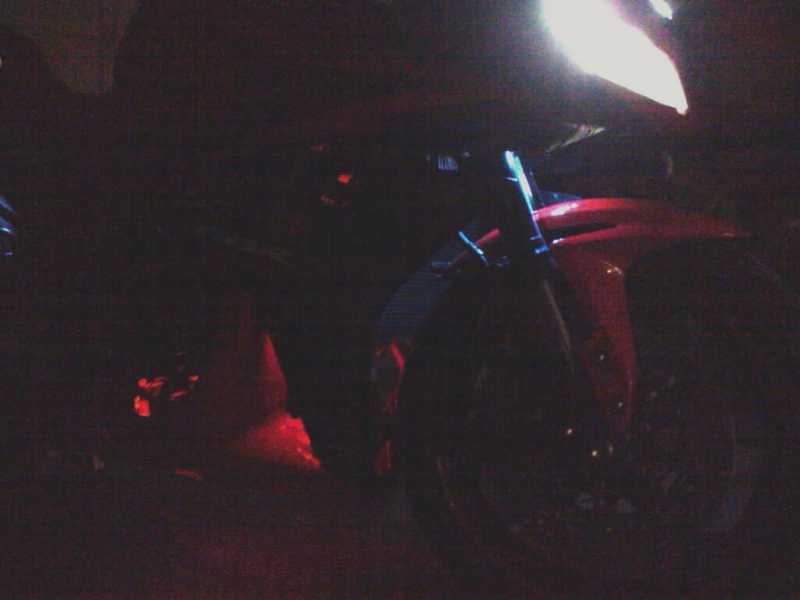 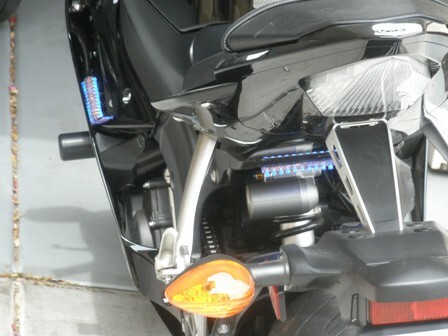 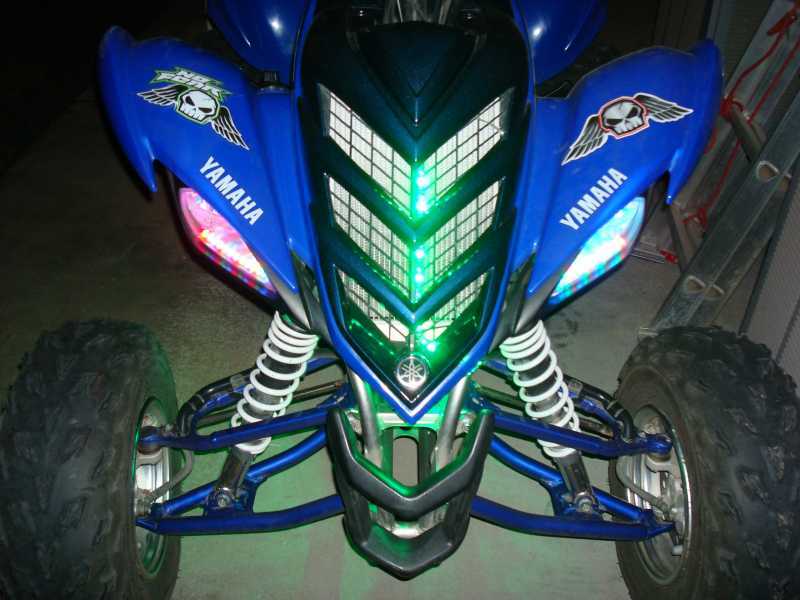 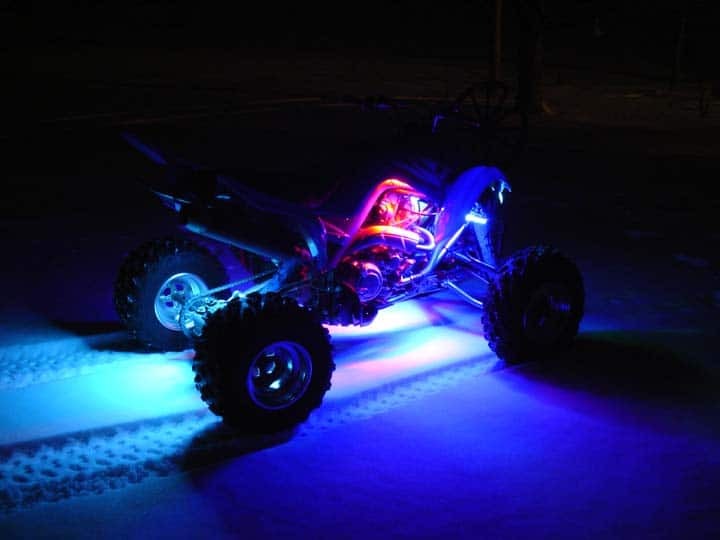 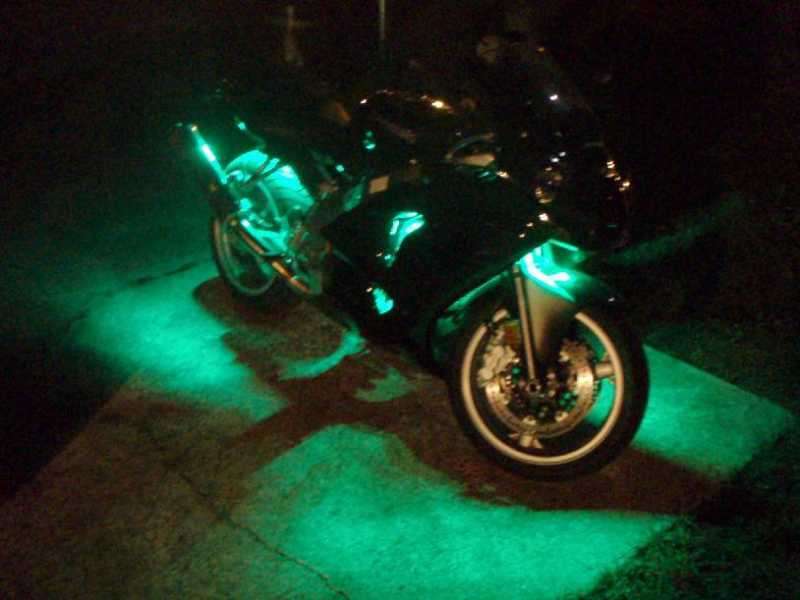 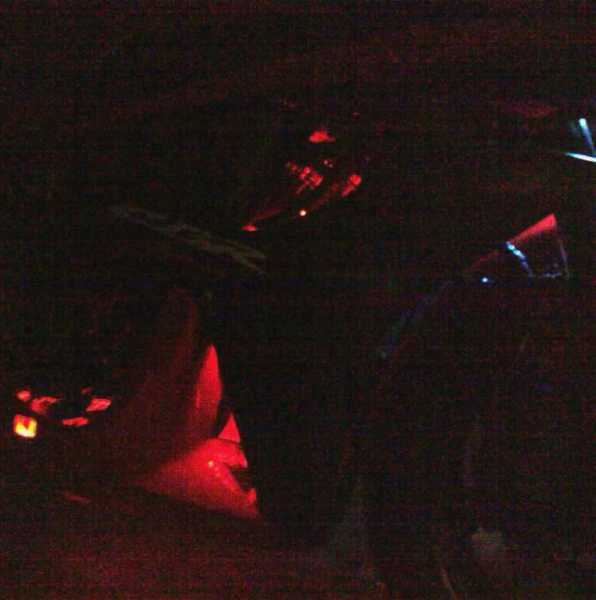 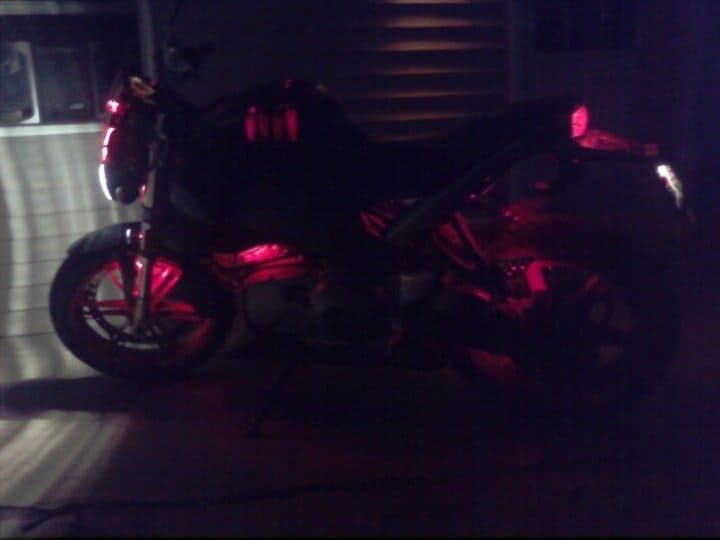 Also, like all of Oznium's LED strips, our motorcycle LED strips are made with durable plastics. 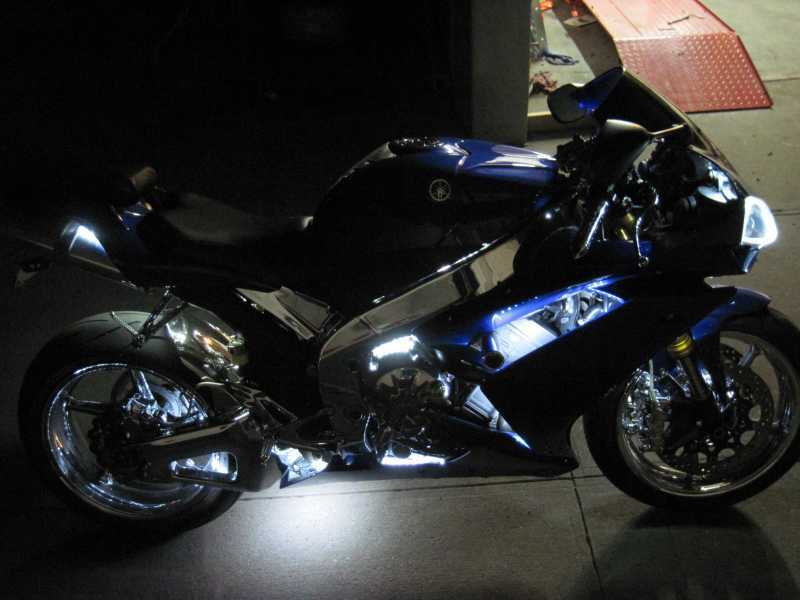 No matter where or when you use them on your motorcycle, be it in hard / acid rain or the driest night on record, this motorcycle lighting solution offers ironclad protection against any harsh elements. 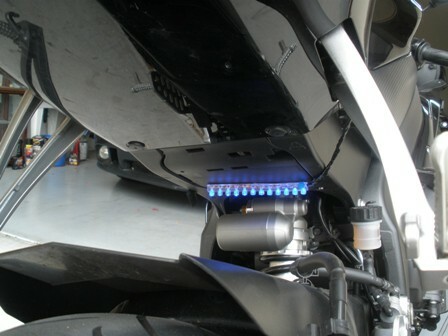 Works great with V-Rods, Yamaha, Kawasaki, Suzuki, Honda, and other Sport bikes; Also works well on Goldwings. 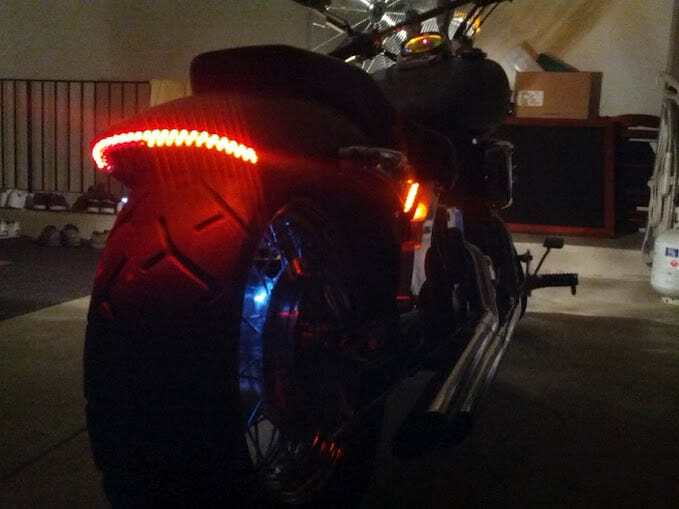 You are currently viewing Motorcycle applications for our Flexible LED Strips.